STPSat-2 is designed and manufactured by Ball Aerospace &amp; Technologies Corporation. STPSat-2 can serve for 15 years. STPSat-2 was launched atop Minotaur 4 rocket launcher. STPSat-2 (Space Test Program Satellite-2) is an experimental satellite used to carry three experimental payloads (two SPEX and one ODTML) selected by the US Department of Defence (DoD) Space Experiment Review Board. The SPEX (Space Phenomenology Experiment) payloads assesses sensor compatibility for space environment, while the ODTML (Ocean Data Telemetry MicroSatLink) offers a bi-directional data relay from terrestrial sensors to the ground station operator. 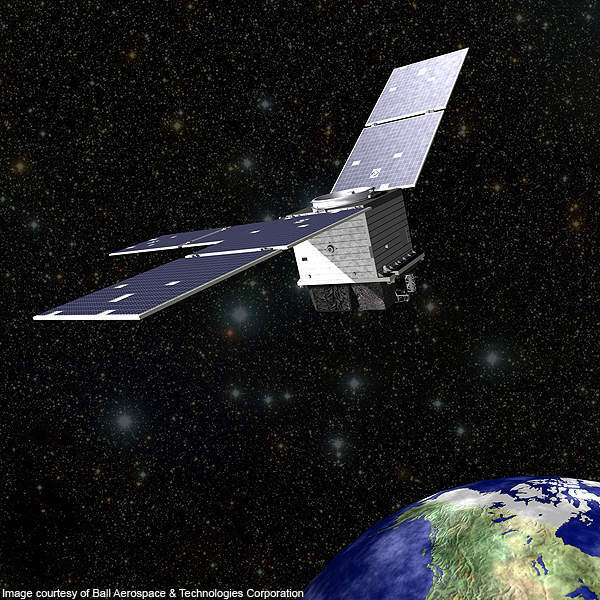 As part of the STPSat series, the STPSat-2 was launched into low earth orbit (LEO) at a 72° on 19 November 2010. It was launched through the Astro-200 satellite bus platform on the piggyback of Minotaur-4 HAPS rocket from the Kodiak Launch Complex. The STPSat-2 satellite completed initial experimental mission in January 2012 and continues to provide operational support for three experimental payloads. STPSat-2 was built under the DoD’s Space Test Program Standard Interface Vehicle (STP-SIV) programme. This programme is managed by the Space Development and Test Directorate at Kirtland Air Force Base, Albuquerque, New Mexico. It is the seventh satellite to board the STP-S26 mission carried out by the Space Test Program at Kirtland Air Force Base. The STP-S26 indicates the 26th small launch vehicle operation in the programme’s 40-year history of flying DoD space experiments. "The STPSat-2 was designed and manufactured by Ball Aerospace & Technologies." The STPSat-2 was designed and manufactured by Ball Aerospace & Technologies, US. It is designed to serve for a lifespan of one year. The satellite weighs around 180kg at launch and consumes 100W of satellite power. Three solar arrays are fitted to the satellite to provide electricity in the case of power system failure. The solar panels absorb thermal energy from the Sun and transform it into electrical energy. The STPSat-2 is designed to meet various customer mission requirements including missile warning, earth remote sensing and situational awareness. The development of the STPSat series began with the STPSat-1 experimental satellite. Ball Aerospace was awarded a $26m contract by the USAF Space and Missile Systems Centre in March 2006 to build the STPSat-1. The satellite was launched atop an Atlas-5 (401) rocket launcher in March 2007. 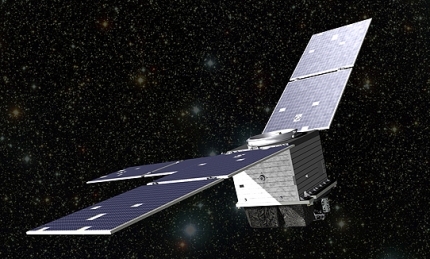 The USAF awarded a $13.4m contract to Ball Aerospace in July 2009 to supply the STPSat-2 experimental satellite. The pre-shipment review of the STPSat-2 was completed in October 2009. The review included assembly and examination of the standard vehicle and standard payload interface. 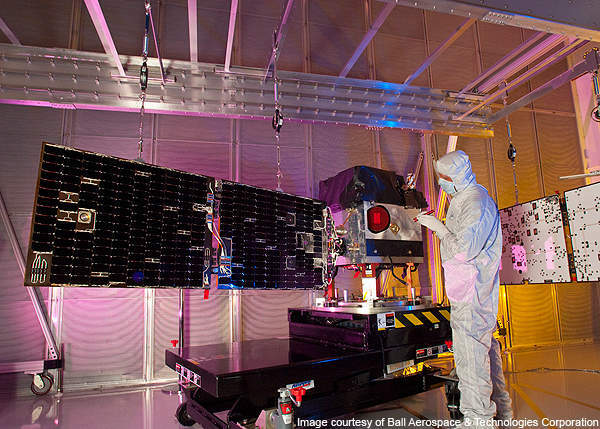 Ball Aerospace delivered the STPSat-2 to the USAF Space and Missile Systems Centre in August 2010. The next satellite in the series, STPSat-3, was developed by Ball Aerospace under a contract signed in 2009. 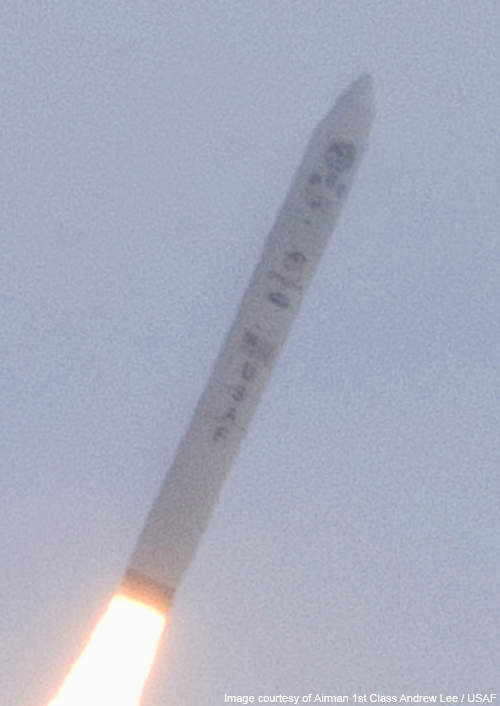 The satellite was launched aboard the Minotaur I rocket launcher in November 2013 from Wallops Island, Virginia. The STPSat-3 is used to carry five payloads, including Integrated Miniaturized Electrostatic Analyzer Reflight (iMESA-R), Joint Component Research (J-CORE), Strip Sensor Unit (SSU), Small Wind and Temperature Spectrometer (SWATS), and TSI Calibration Transfer Experiment (TCTE). It also carries a de-orbit module. Manufactured by AeroAstro, the Astro-200 is a fully redundant and flight proven satellite bus primarily used for space demonstrations. The bus is designed to carry various experimental and risk reduction payloads into LEO from 400km to 850km without design changes. The Astro-200 features solar arrays, power avionics and a space-ground link system (SGLS) transponder. Each bus can carry four payloads, which made the standard interface of the STPSat-2 compatible with multiple launch vehicles. The STPSat-2 was launched atop the Minotaur 4 rocket launcher. The launcher is equipped with a flight computer, MACH avionics, telemetry system, batteries, attitude control system and booster control system. "The STPSat-2 was launched atop the Minotaur 4 rocket launcher." The avionics system, flight software and subsystems of STPSat-2 are incorporated into a guidance control assembly. The Minotaur 4 is manufactured by US based Orbital Science Corporation. 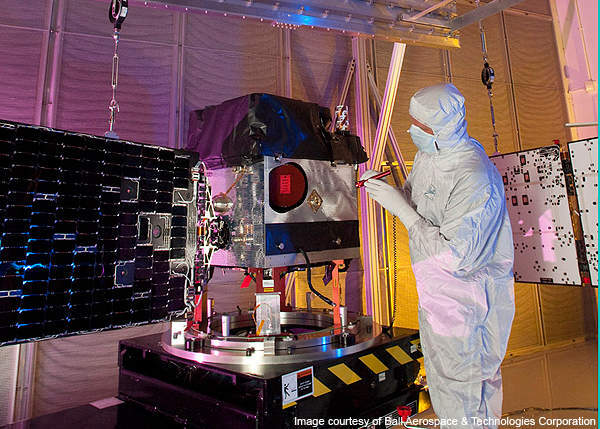 The Minotaur 4 also launched FASTRAC spacecraft, FalconSat 5, OREOS CubeSat and FASTSAT (Fast Affordable Science and Technology) satellites for identifying, tracking and defining space objects and space environments. The STPSat-2 can be controlled and monitored through a ground station using ground equipment hardware and software. The ground station is also designed by Ball Aerospace. It is equipped with a telemetry tracking and command system to detect, control and monitor the satellite when deviating from its orbit.